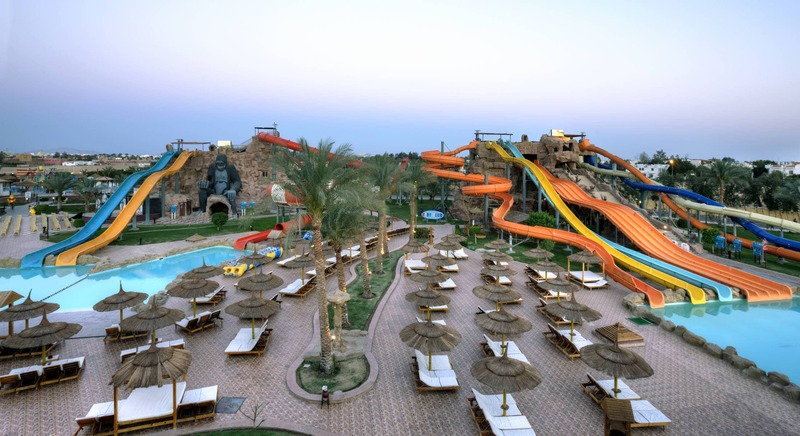 Located on the cliff of Ras Umm El Seed, this modern 4* hotel is part of ‘Aqua Park City’ which spreads out over 140.000 sqm and consists of a water theme park and a 450 m long promenade with cafés, restaurants and bazaars. The complex has been designed in the style of a small village and the 528 guest rooms are housed in two-storey buildings that are set in well-kept gardens, surrounded by beautiful swimming pools and lagoons. 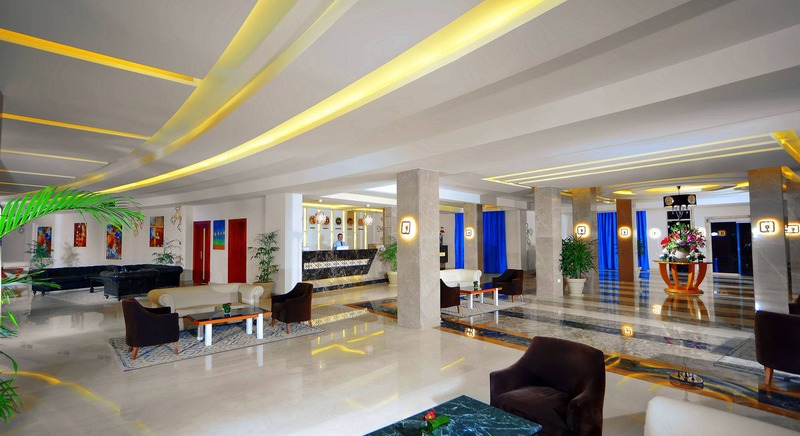 The quality of service and facilities is well known. The hotel is the ideal spot to enjoy an unforgettable family holiday with the convenience of all-inclusive board. If you are looking for a place to escape the stress and bustle of your daily life, and want to relax but also have fun, you will find all you need here.